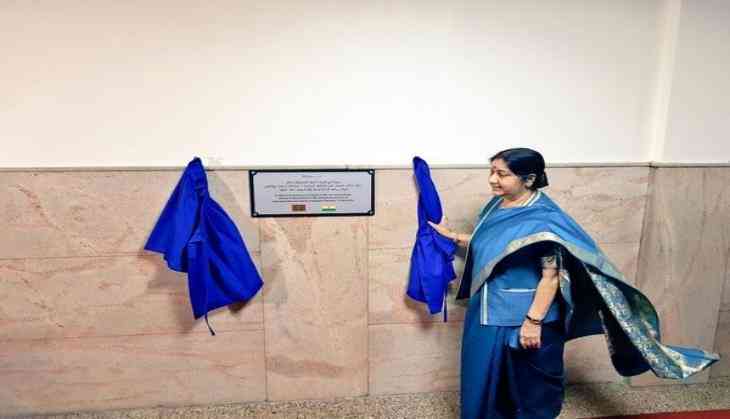 External Affairs Minister Sushma Swaraj unveiled a plaque of the renovated Indira Gandhi Memorial (IGM) Hospital in Maldives on Sunday. She dedicated the hospital to the people of the Maldives. The IGM Hospital was built in 1995 with Indian assistance and was inaugurated by then Indian Prime Minister PV Narasimha Rao. It is the first and largest government healthcare facility in the Maldives. "Commitment to the welfare of the people of Maldives EAM @SushmaSwaraj unveils a plaque dedicating the renovated IGM Hospital to the people of Maldives in the city of Male. IGMH is the first and largest government healthcare facility in Maldives, built with Indian assistance," Ministry of External Affairs spokesperson Raveesh Kumar tweeted.